READ, LISTEN or even WATCH books like a movie! Check out the revolutionary reading app that offers a completely new kind of storytelling entertainment for the whole family. It combines the advantages of both books and movies! Cine-books are a new kind of animated books, highly visualized with the closest attention to details. You may read them as fully illustrated ebooks, listen to as audio-books or watch like movies with dynamic animations and special effects on your Android tablet. A professional crew of directors, photographers, actors, costume designers, narrators and sound engineers bring the world’s greatest stories to cinematic form. 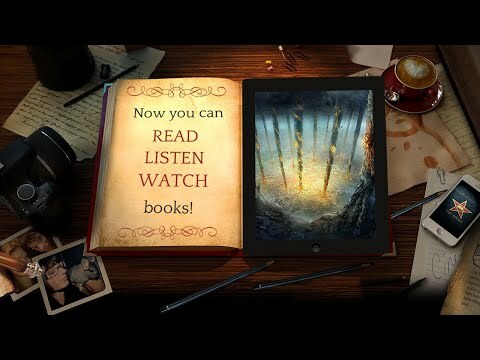 ★ READ, LISTEN and WATCH books in a new and exciting format. ★ Sync your purchases across all platforms. ★ Seamlessly switch between reading, listening and watching modes right where you left it. ★ Discover stories by the world's greatest writers without missing a word from the original. ★ Get your kids engaged in literature and reading from a young age. Download ★CINE-BOOKS★ to enjoy books in a new dimension. Books have never been so alive! Visit cine-books.com to learn more about our innovative approach to book-reading.